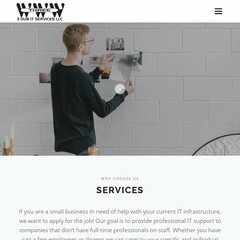 www.3dubit.com - Information technology for small business. Media Temple Inc. California is the location of the Apache/2 server. Its local IP address is 205.186.136.106. Its 3 nameservers are ns1.3dubit.com, ns2.3dubit.com, and ns.3dubit.com. PING (205.186.136.106) 56(84) bytes of data.